Newport Beach Personal Injury Attorney | Who is at Fault? If I was struck by an emergency vehicle, who is at fault? If you were in a California auto accident with an emergency vehicle, who is at fault? If an emergency vehicle has on its lights and sirens, it does not have to follow traditional traffic laws. It can swerve out of lanes, go through red lights, and drive the wrong way down the street. You are expected by law to pull to the right side of the road when an emergency vehicle—such as an ambulance, fire truck, or police cruiser—approaches with its lights flashing. It is also illegal to follow within 500 feet of a moving emergency vehicle with its lights flashing. However, simply because an emergency vehicle’s lights were flashing does not automatically mean it is in the right. In the past, drivers of emergency vehicles have been cited for driving recklessly and for negligence; it simply depends on the facts of each case. 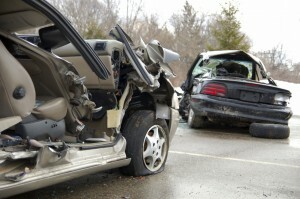 Talk to a Newport Beach Personal Injury Attorney about the specifics of your accident. Also, if an emergency vehicle did not have its warning lights or sirens on at the time of the accident, you may also have a case. In some situations, the town, city, or hospital in charge of hiring and training emergency drivers may be responsible for a crash. If you have been involved in an accident involving an emergency vehicle, it is vital that you consult with an attorney about your case, regardless of whether the vehicle was actively responding to an accident scene or rushing to the hospital. Call Russell & Lazarus today to schedule a meeting with an Newport Beach personal injury attorney: (800) 268-9228.